When a rainout is a reason to celebrate and any victory is looked to as a momentum-shifter, you know your team has issues. The biggest news on Monday wasn't the postponement of game #37, but the rumor that the Rangers were potentially interested in A.J. Pierzynski. Yes, our A.J. 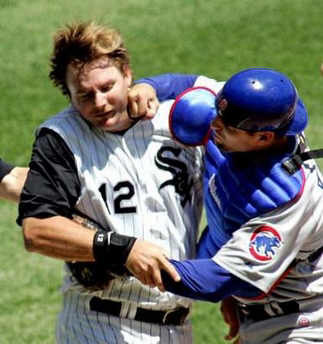 Pierzynski who is hitting a robust .202 / .254 / .298 line. 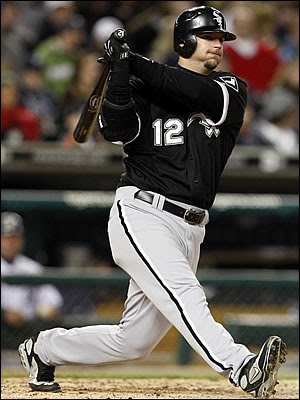 Don't get me wrong, the Rangers have plenty of reasons to be interested in the veteran Sox catcher. The AL West is wide open with early-season favorites Seattle and Los Angeles (Anaheim) struggling in the season's first 40 games. It would be the Rangers' first trip to the postseason since 1999. Right now, Texas is trying to get by with Matt Treanor as their starting catcher. Treanor, while a solid backup backstop is more well-known for his Olympic gold-medal winning wife (Misty May-Treanor) rather than his mediocre baseball skills. Best of all, Pierzynski's in the last year of his contract and the Rangers would only be on the hook for less than $5 million. But the deal also makes sense for the Sox. It's tough to trade away the team's most popular player this side of Mark Buehrle, but Pierzynski's time on the South Side has come and gone and Tyler Flowers major-league career should start. 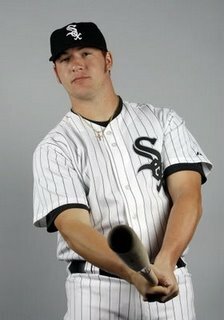 Flowers, who the White Sox acquired along with Brent Lillebridge in the Javier Vazquez deal with the Braves, has been called the White Sox catcher of the future. And while he's certainly not tearing up AAA -- hitting only .257 -- Flowers is the best catching prospect in the White Sox system. Is Tyler Flowers going to save the White Sox? No. He probably won't even have the impact that Gordon Beckham had on last year's squad, but four months of big-league experience is invaluable for 2011. He needs to develop a comfort level with the pitching staff, all of whom (with the possible exception of Freddy Garcia) will be back next season. The White Sox in the past have been more than willing to let young, developing players toil at the bottom of the order while their veterans carry the load (Brian Anderson anyone?). If they are going to let Gordon Beckham take his lumps during a sophomore season to forget, why not let Flowers do the same on a team that looks like it's going no where past September. A.J. will never be forgotten in Chicago for his steady performance and on-field antics. But the time has come to move into a new catching era. Sorry Michael Barrett, it only took four more years after you tried. You can't be serious. Flowers can't play defense to save his life right now and he strikes out more than a nerd in a singles bar. Have some patience, these guys aren't done yet. Flowers is not a major league catcher...offensively or defensively. He is just too big, slow. and clumsy to be effective defensively. No sense trading AJ unless you have a starting catcher.